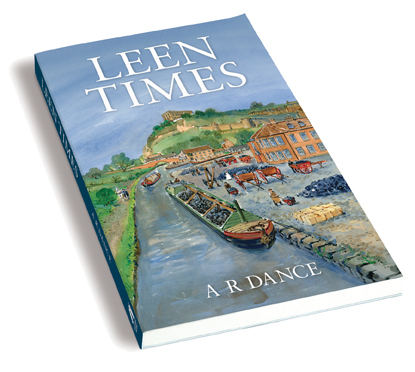 Leen Times is the dramatic sequel to Narrow Marsh, and many of the characters portrayed in that book will be found here. And like Narrow Marsh, Leen Times is also set mainly in and around Nottingham, during the 1820s and 1830s. These years saw the continuing expansion of Nottingham into an industrial town, still based primarily on its traditional hosiery industry. But behind the outward appearance of increasing industrialisation and wealth, there remained a large underclass who were forced to endure appalling housing and poor working conditions, had few rights, and nobody to speak up for them in Parliament. Many of the events which constituted much of Nottingham’s tumultuous and turbulent history are woven into the story: the ‘twist net fever’ of 1823-25, when fortunes could be made or lost overnight; the banking crisis that followed, leaving many families penniless; and the prolonged struggle for parliamentary reform and the vote, culminating in increasingly violent agitation, riots and the burning of Nottingham Castle. Having returned to Nottingham from exile in France, William Daniels has now settled in his home town with his wife, Abigail, and their children. Leaving behind his former life of poverty and hardship, he is now developing a successful business as a canal carrier. But ever resourceful, and always looking to the future, he also becomes involved in plans to bring the railway to Nottingham. Meanwhile, on the other side of the world, one man has not forgotten the past. Residing at his Majesty’s pleasure in a penal colony in Van Diemen’s Land, the wealthy Josiah Sidmouth waits patiently for the day when he will become a free man again. And as he waits, he carefully plans his revenge against the man he regards as responsible for his downfall. Nottingham in the 1820s and 1830s, an era of brutal and uncompromising change, and of fierce political upheaval, is the setting for the dramatic sequel to Narrow Marsh. A fast-moving story of retribution, radical politics and criminal conspiracies.